We sat down and put our heads together to come up with some great packages that highlight some of the best things to do in and around Jackson Hole. The result? Some Jackson WY hotel deals that are too good to miss. Splash your way through 8 miles of whitewater on the Snake River. Your experienced guide will teach you how to sit, paddle and stroke as you laugh your way down the Snake! RESTRICTIONS: Offer not valid in conjunction with any other offer or discount. Subject to blackout dates and activity availability. Does not include gratuities. Fuel up for a day of exploration with our Bed & Breakfast Package. Enjoy Daily Grab ‘n’ Go Breakfast for two in the lobby café this summer when you stay at Mountain Modern Motel. After trekking through the nearby national parks, hiking & biking trails and plethora of outdoor adventures to be had in the greater Jackson Hole area, retreat to our comfortable accommodations and prepare to do it all again tomorrow! RESTRICTIONS: Offer not valid in conjunction with any other offer or discount. Subject to blackout dates. Make the most of your time in Grand Teton and Yellowstone National Parks with our Explore the Parks Package. 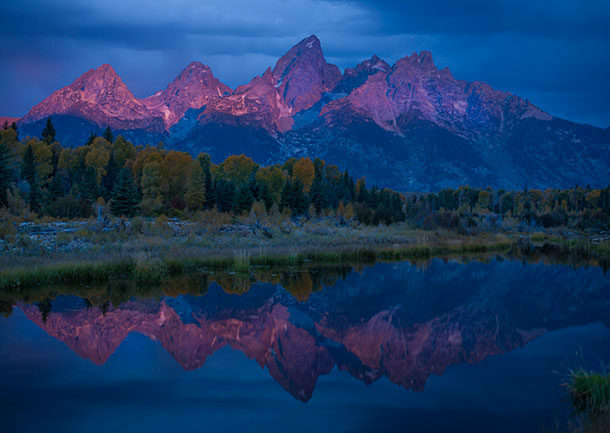 Our Wise Guides will set you up with a sunrise (or sunset) wildlife tour of Grand Teton National Park as well as a full day tour of Yellowstone National Park with friendly and professional guides. We will arrange for our partners to pick you up at the hotel and provide you will all you need for your adventures. RESTRICTIONS: Three night minimum required. Offer not valid in conjunction with any other offer or discount. Subject to blackout dates and activity availability. Does not include gratuities. Enjoy an extra perk with your Ikon or Mountain Collective pass. We are offering passholders a special discount to come stay with us this winter season and experience our record-breaking snowfall and epic conditions. Must show valid Ikon or Mountain Collective Pass upon check-in. One night in Jackson is just not enough. Extend your stay and save 10% – 15% off one of our modern rooms in downtown Jackson, just a short walk from town square. It’s not one of the most famed ski destinations for nothing, and we’ve got the package to get you there. 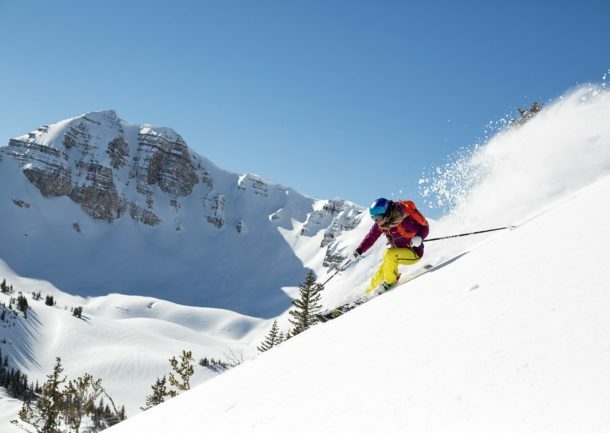 Jackson Hole Mountain Resort boasts over 2,500 acres of terrain + open backcountry, a vertical drop of 4,139 feet, 11 lifts, 2 gondolas and Big Red, the 100-person tram. Couple that with complimentary daily breakfast and shuttle and you’re ready for a bucket-list trip to ski Jackson Hole. 2 Night Stay will receive 1 day of lift tickets, 3 Night Stay will receive 2 days of lift tickets, and so on. Please call us with questions prior to booking. Get rewarded for planning ahead! Book at least 7 days in advance and save 15% off your stay. Your Jackson Hole basecamp awaits! Non-refundable and non-changeable. RESTRICTIONS: Requires full/non-refundable prepayment of reservation value at time of booking. If cancellation occurs, prepayment value will be forfeited. Offer not valid in conjunction with any other offer or discount. Subject to blackout dates.